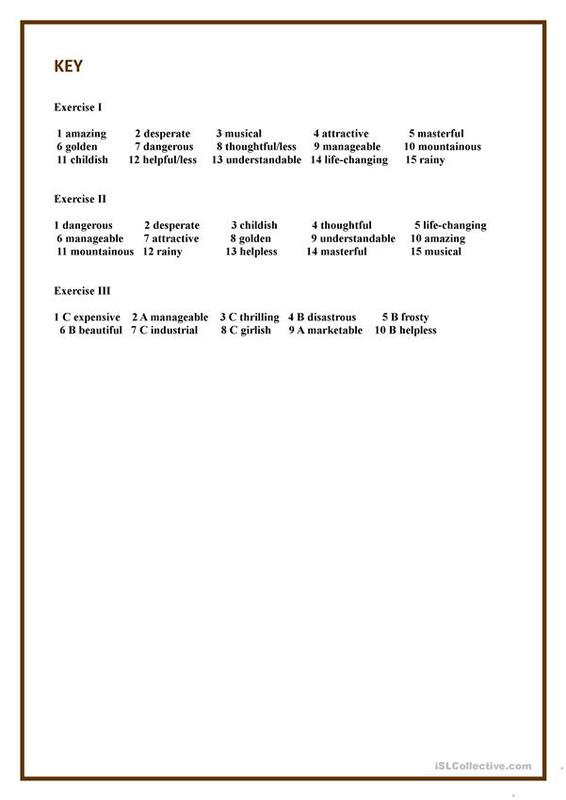 This is a test for revising adjective suffixes, key isgiven. This downloadable handout is a great resource for high school students and adults at Pre-intermediate (A2), Intermediate (B1), Upper-intermediate (B2) and Advanced (C1) level. It is valuable for practising Suffixes (e.g. S, ED, ING, N'T) in English, and can be used for enhancing your pupils' Spelling and Writing skills. It is about the theme of People. 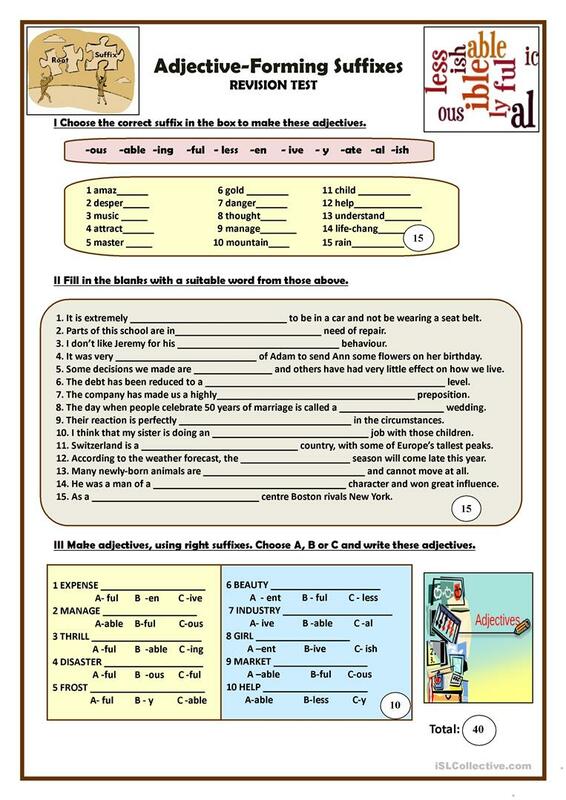 There is an answer key provided with the exercises. tantana is from/lives in Russia and has been a member of iSLCollective since 2012-11-28 17:09:54. tantana last logged in on 2019-04-23 05:11:05, and has shared 260 resources on iSLCollective so far.